Having a wide variety of Italian pasta sauce recipes at your fingertips is necessary for any chef especially a great marinara sauce recipe which is the key to unlocking a whole world of amazing cooking. Marinara is so versatile that one batch of sauce can give you countless meals. From pasta to pizza to dip, you will never run out of uses. So how did this multi-purpose sauce come about and how can you make the best version possible? Get ready to find out! While the exact origin of marinara is unknown, it definitely was created in southern Italy in the 16th century. It was around this time when tomatoes were becoming widely available and chefs were exploring the many possibilities of the tomato. However, it was not mainland chefs who created the first marinara but rather Italian sailors . Marinara is actually named after sailors, or marinai in Italian. 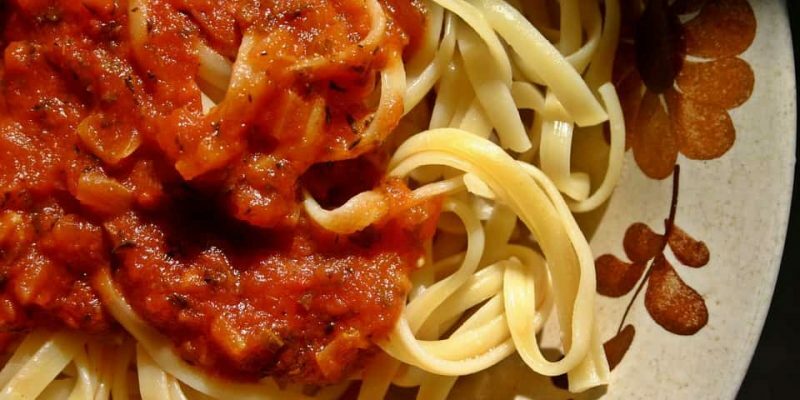 The most widely accepted story behind marinara is a basic one. The ingredients found in the sauce tended to keep well and were staples on long voyages at sea. 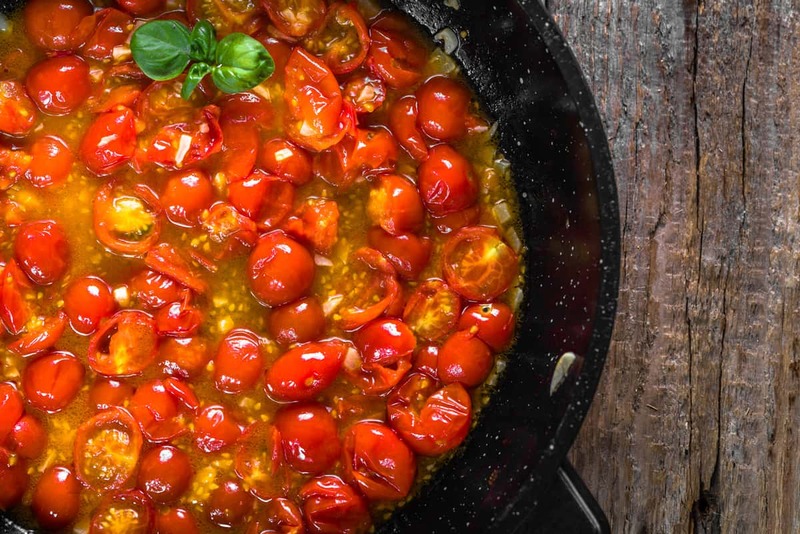 Sailors used tomatoes, garlic and dried herbs to create the sauce and it soon became a staple in Italian culture. The popularity of marinara sauce spread as Italians emigrated to the Americas and has been indispensable ever since! A simple yet classic story! Any marinara recipe is based off of a few key ingredients. Garlic, olive oil, tomatoes and herbs have been the basis of marinara since its inception- why mess with a good thing! While every chef has their own recipe and blend of herbs that they prefer basil, thyme, oregano, salt and pepper are the most common. Bay leaves, parmesan rinds and red wine frequently make an appearance in marinara recipes yet those are all creative twists on the classic sauce. Dried or fresh herbs can work in marinara recipes and the choice between the two is usually up to the chef. However, while many may think that fresh herbs are superior, in the case of sauces, dried herbs work just as well. The flavor of dried herbs is more concentrated and therefore stands out more in the marinara sauce. Dried herbs are also more economical than fresh. Yet if you have a basil plant that happens to have an abundance of green leaves, these will work fantastically in your sauce. A few herbs here, a dash of spice there…you can create all types of Italian sauces this way! With so many different varieties of tomatoes, it is hard to know which is best for marinara. The answer is that there are several types that will be great for your sauce but a few that will truly make it taste out of this world. The main thing to remember when choosing a tomato, look for the sweeter types rather than those high in acid. Fresh tomatoes and canned tomatoes can both work to make great marinara, it all depends on your recipe and what you have readily available. The San Marzano tomato is held in the highest regard when it comes to making sauce. Grown in the Campania region of Italy, these tomatoes have a sweet flavor, very little acid and few seeds making them the perfect candidate for sauce. If you can’t find these beautiful tomatoes fresh, you will surely be able to grab a can or two (and the extra price is worth it!). Plum tomatoes and all of the variations of plum tomatoes are also a fantastic option when making marinara sauce. Plum tomatoes are rich in flavor, hearty and are easy to peel. Roma tomatoes are another great variety to look for when preparing for your marinara endeavor. So now that you have your ingredients ready to go, it’s time to make some sauce! Almost all marinara begin the same way and that is by sautéing fresh garlic in olive oil. The garlic should be sizzling, but not brown, when you add in the tomatoes. The herbs follow thereafter and then the marinara is left to cook. While you do not need to cook the marinara sauce for hours, it does help to let it simmer for some time. This allows the flavors to truly develop and some of the excess water to evaporate. As the marinara simmers, it is very important, as the chef, to taste the sauce frequently and adjust the seasonings to fit your preference. While adding a little more basil or oregano can be done at the beginning of the recipe, don’t add more salt until the sauce is completely cooked and ready to serve. The flavor of salt will become more prominent as the sauce simmers so while it may not taste strong when you try your first bite, after a few minutes of cooking, the salt taste will really develop. You can always add more spices and herbs but it is very hard to take them away once they are in the pot! Now that you have made your sauce, you are surely ready to put it to good use! Where to begin?! Serving marinara over pasta (such as spaghetti) is a very classic way to go and you can find many great Italian pasta recipes that are based around marinara. Simple, delicious and a quick way to make a great meal. Marinara is also great with other types of pasta dishes such as lasagna or cooked into a risotto. You can serve your marinara sauce over a filet of fish or pork chops. It will also lend some delicious flavor to a meatloaf. Since marinara is so delectably adaptable, make a large batch and try canning some of the sauce to use at a later date. Just be sure to follow proper canning techniques to ensure your sauce is stored safely! 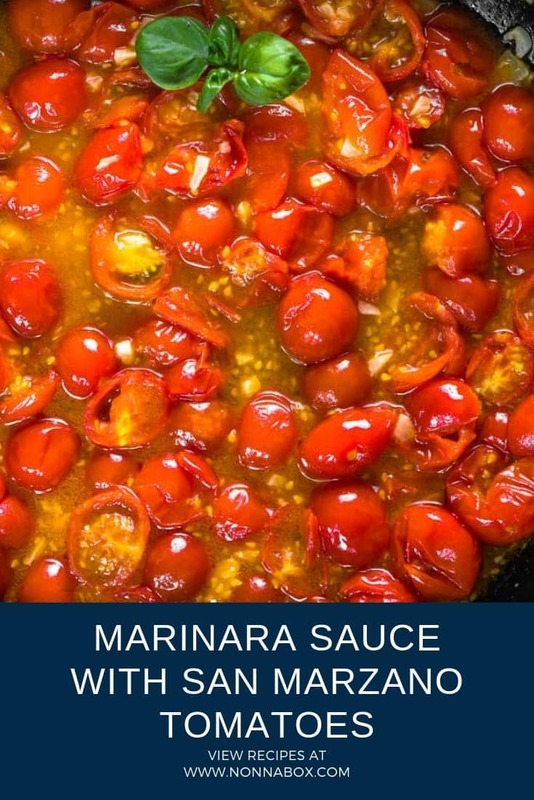 By now, you are probably dying to make a perfect marinara sauce and here is the recipe to help you do just that. So get out your herbs, find the perfect tomatoes and pretend you are an Italian sailor, cooking up a nice big batch of authentic Italian homemade spaghetti sauce! Happy cooking! In a large saucepan, heat the olive oil over medium heat and stir in the chopped garlic. Allow the garlic to simmer for 1-2 minutes but do not let it brown. Add the crushed tomatoes and water and stir. When the sauce comes to a simmer, add the herbs and whole carrot. Turn the heat to low and let the sauce simmer for 20-30 minutes, stirring occasionally. Remove the carrot and bay leaf and discard. Serve the sauce immediately or store for later. 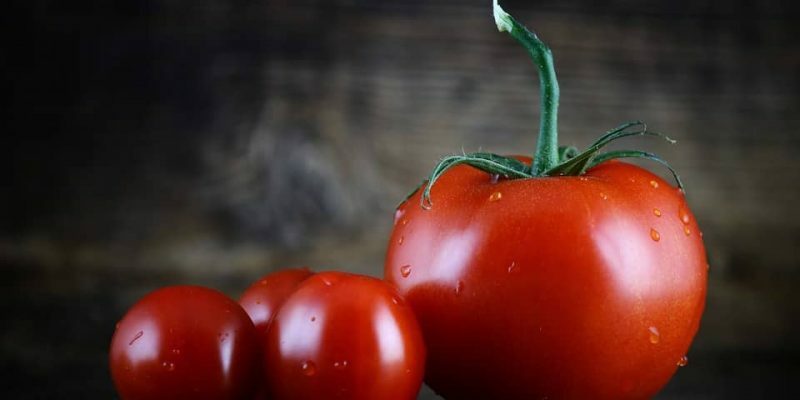 -If you would like to use fresh tomatoes, broil, peel, puree and strain them to prepare them for use. One pound of fresh tomatoes will give you about 2 cups of puree -Adding a whole carrot to the sauce as it simmers will help cut the acidity. If you do not have a carrot, it is okay to skip this ingredient especially if you are using low acid tomatoes for your sauce.